New construction sited in an enviable location just outside of Historic Concord Center showcasing stunning pastoral vistas and chic, warm interiors. Every room has been conceived with style, modern features and craftsmanship. 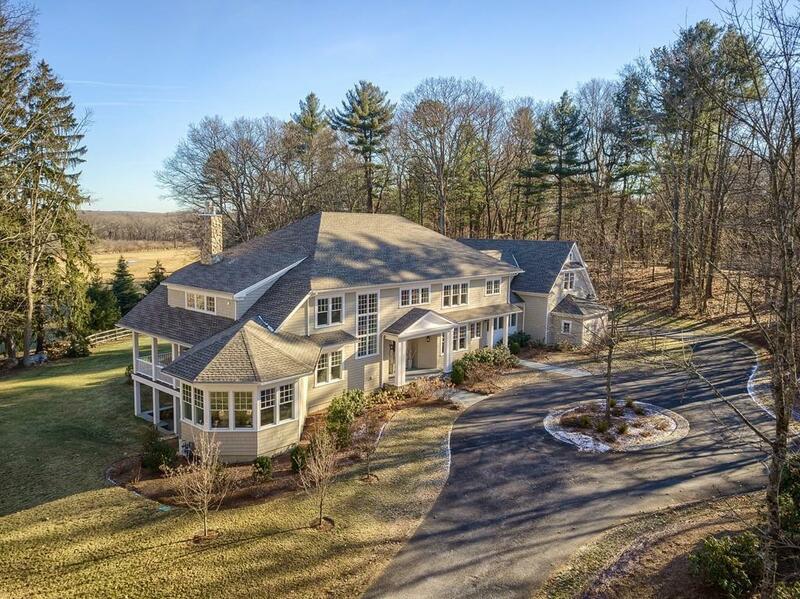 The exquisitely equipped chefâs kitchen has a large center island, chef's library, casual dining area, butlerâs pantry and is open to the impressive family room...all with expansive pastoral views. A dazzling dining room, home office/guest suite, delightful children's library and impressive mudroom round out the first floor. Upstairs, there are 5 bedrooms, all with walk-in closets, including the romantic master suite with luxe spa bath. Sprawling finished walk-out lower level designed with a potential game room, home gym and home theatre. Enjoy coffee or wine with a cozy fire in the stone fireplace on the covered porch. The combination of the setting, luxurious amenities and serene grounds makes this a home to treasure.